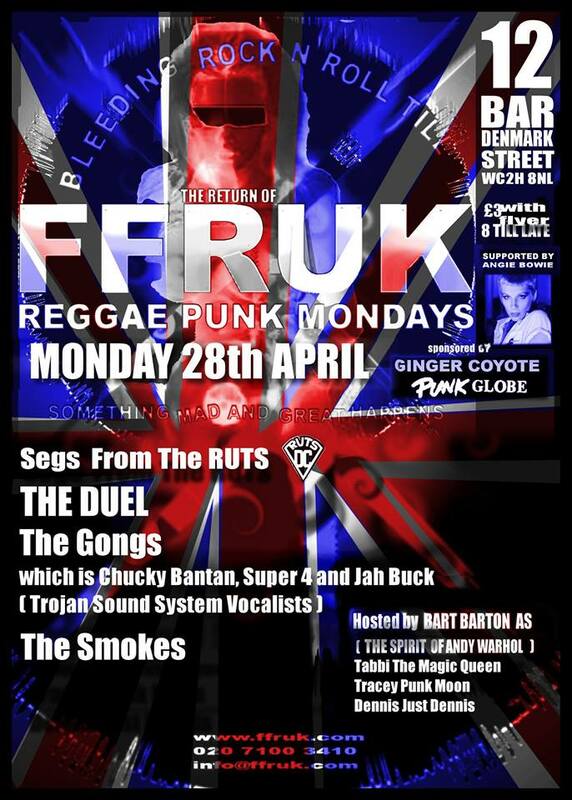 FFR UK Reggae Punk Mondays 28 April 2014 – FFRUKiT! With another selection of thrilling special guests in store for the audience, your resident hosts as always set the potent match to the creative kindling with their unique presence and passion. DJ SEGS will vein the night in the very best inspirational and innovative sounds with his DJ set. 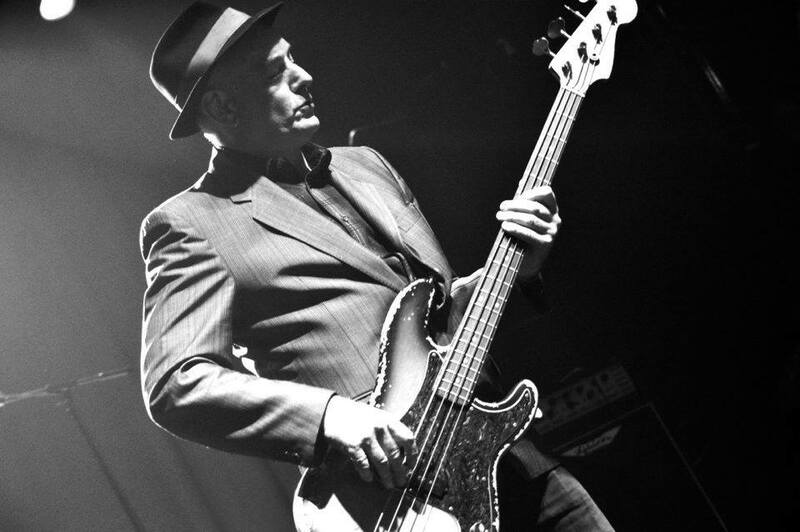 The original bass player and co-writer of the legendary Ruts and one of the driving forces of the equally provocative Ruts DC, Segs Jennings is a pioneer in searching out and sharing the best music and artists to inspire and tantalise ensuring the night will be flush with aural innovation. His imagination is as ever matched by THE DUEL, the Now Wave Punks creating their own potent brew of cutting edge rock ‘n’ roll. 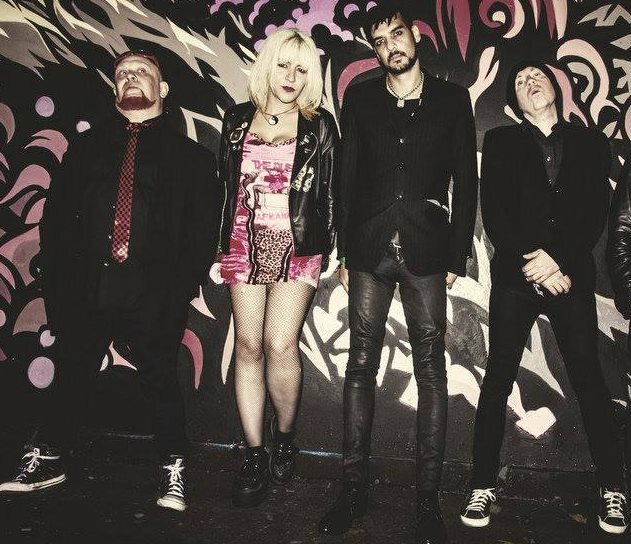 With their new album coming all the closer, now is truly the time to become soaked in their provocative and imaginative invention. Special guests this week come in the exciting shape of THE GONGS and the raw adventure of THE SMOKES. Consisting of Trojan Sound System vocalists CHUCKY BANTAN, JAH BUCK, and SUPER 4, The Gongs are a certainty to have bodies flexing and emotions soaring with their unique presence. They will be the cause of plenty of self-rebuke from those missing what is sure to be another big highlight in the history of Reggae Punk Mondays. 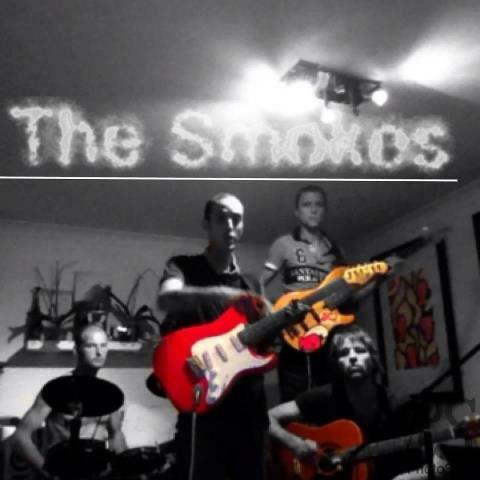 London’s own emerging rockers The Smokes will equally bring a distinct flavour and impact to a night sure to be talked about. Add the feisty surprises and twists which constantly light up the BART BARTON AS THE SPIRIT OF ANDY WARHOL compared night and you know FFR UK will be presenting an end to April which no one should miss. mà công ty chúng tôi đã liệt kê bên dưới. hàng và hoạt động trên tôn chỉ “Mọi quan điểm đóng góp đều là nấc tháng giúp đơn vị chúng tôi thành công”.